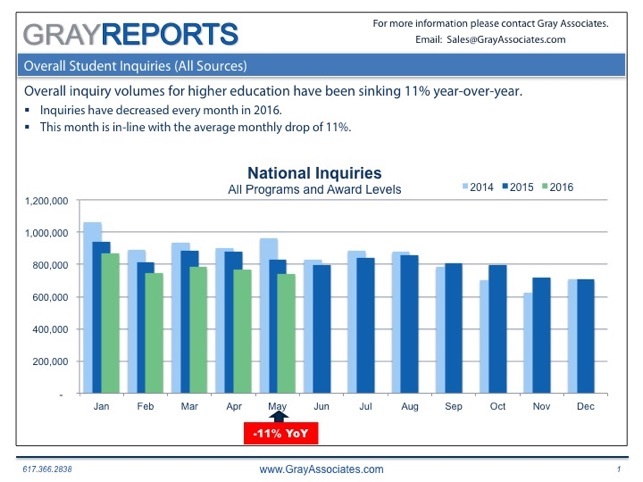 Entering the Second Half of 2016, Overall Student Demand for Higher Education Continues to Falter. 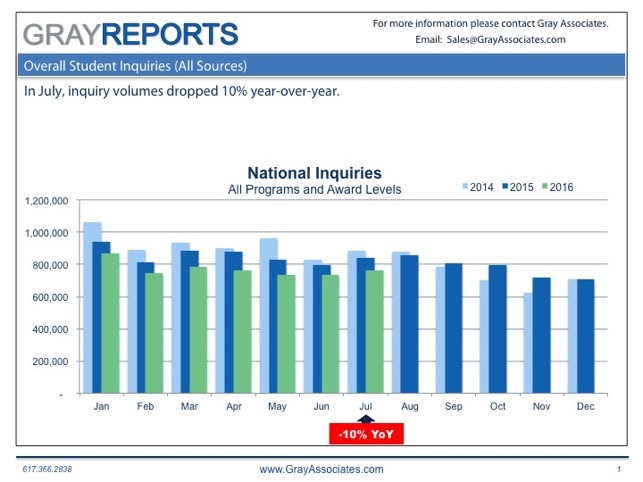 First Six Months in 2016, Inquiries for Higher Education Fell Below 2015 Volumes. 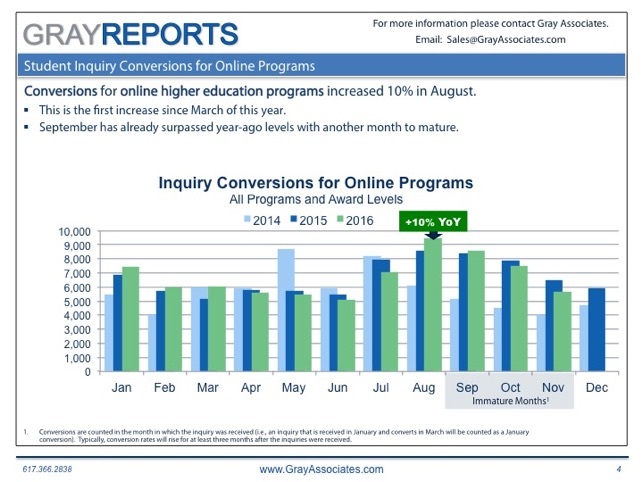 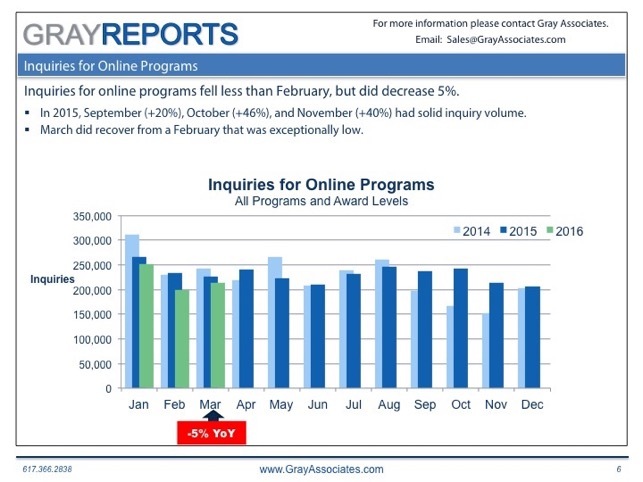 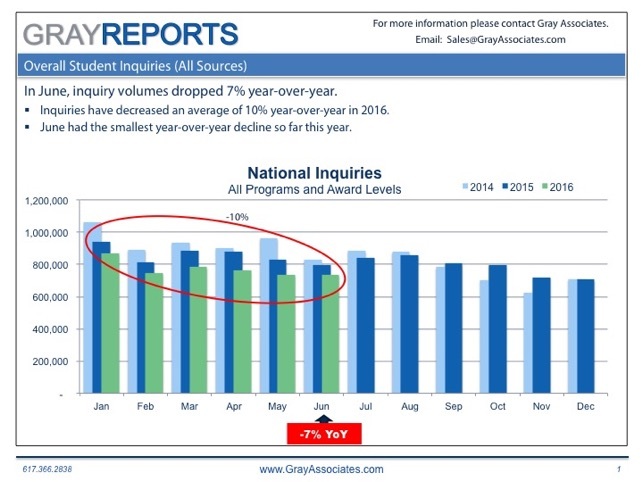 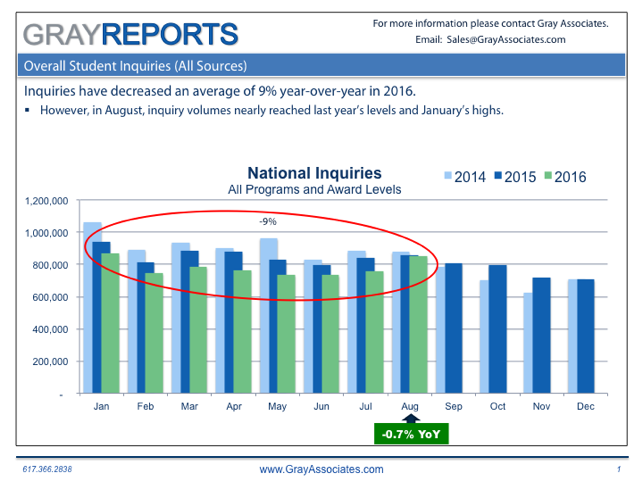 After Steep Drops, March Inquiries for Online Academic Programs Fell Only 5%.